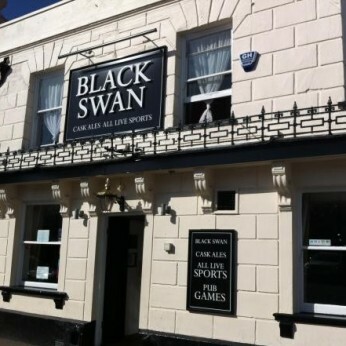 The Black Swan is full of character, very spacious and a very friendly pub where you can come to unwind either in our bar which has live music, dj's and lots of entertainment, or in relax in our more quieter bar and socialise with the locals. Black Swan in Spalding has a car park. The pub has a function room that can be booked, it has an outside area. Black Swan has a smoking area. The pub has free WiFi, it has a dart board. Black Swan has DJ's. The pub has live music events, it has a pool table. Black Swan has BT Sport. The pub shows cricket on TV, it shows football on TV. Black Swan has the Racing Channel. The pub shows rugby on TV, it has Sky Sports. Black Swan has terrestrial TV.